The City of Woodstock announced today that the gazebo located in The Park at City Center will be undergoing a major renovation. “It was important to me that the final design and appearance of the gazebo is as close to the original design as possible” said Preston Pooser, Parks and Recreation Director. “Most of the structure will be completely rebuilt. The foundation is in great shape however, the roof and much of the wood structure needs to be renovated” he continues. 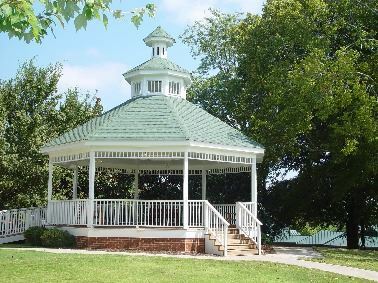 Constructed in 1996 when the City Park was first built, the gazebo has been a focal point of the City park and downtown Woodstock. It has been the location of weddings, pictures, marriage proposals, and City-sponsored ceremonial events. Prior to the building of the Northside Hospital-Cherokee Amphitheater, the gazebo was home to the long-time Woodstock Summer Concert Series. Weather dependent, the renovation will be completed in mid-March. The Park at City Center will remain open; however, the gazebo will be closed to the public.